What to look for when picking digital photo management software? Support for photo transfer from cameras and phones. This means that the software creates subfolders for each day when pictures were taken. Folder management capabilities means a fast and easy way to create, rename and move folders. Metadata management means at least the ability to add keywords inside image files. Any visual way to help with organizing keywords is a great help. Support for selecting and grouping best photos. I do this task all the time so any support for tagging, starring or color coding my best photos is a must. In addition, geotagging and face recognition are very useful features to have, but they are not must haves. 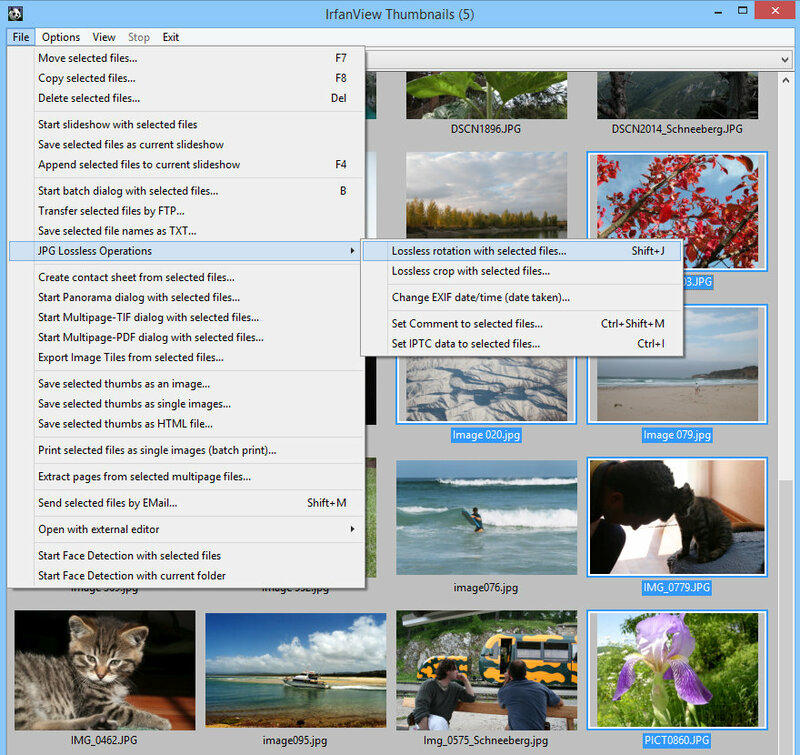 XnView is the most complete photo management software program you can find for free. 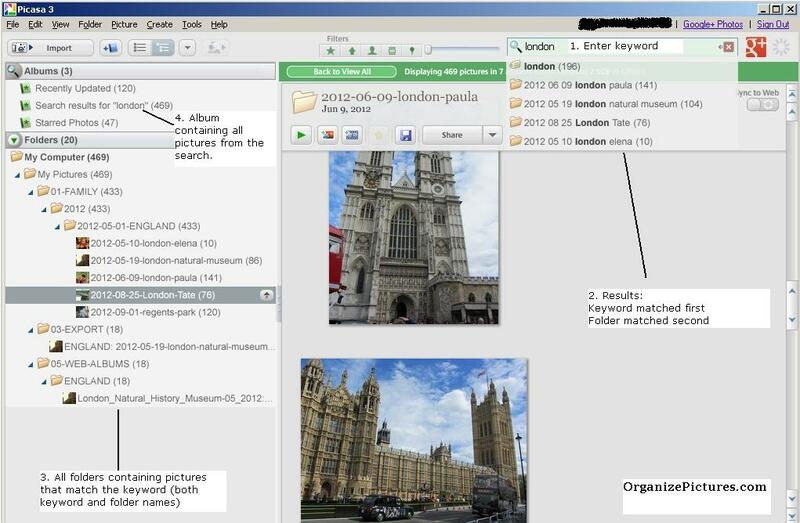 If you get used to it and can learn to use it for managing your metadata, XnView will serve you well. However, do not expect great photo editing features or a simple and intuitive userinterface. Pro: Actively developed. Support for photo transfer. Full metadata editing support including EXIF, IPTC and XMP. Supports photo tagging, rating and color labels for photo selection. XnView has support for geotags and has reverse geocoding available as well through a third party application. Con: Older look and feel. Slower metadata search since it does not use a database. User interface is cumbersome especially for adding keywords to photos. If you are interested in XnView you can read my articles about XnView. FastStone is my favorite free photo management software. I use it often for transferring photos and working with folders. It has some nice cropping and photo editing tools but the lack of metadata editing support, limits its functionality. Pro: Actively developed. Fast folder navigation. Simple and efficient transfer from cameras. Batch renaming. upport for photo selection. Con: No metadata editing support. No face recognition and no geotagging. Basic photo editing only. If you are interested in FastStone you can read my articles about FastStone. IrFan is a fast image browser that can help you see large photo previews very fast. This can be useful when browsing through a large collection of photos. However, lacking the other important features doesn’t make me use IrFan much. Pro: Actively developed. Supporting lots and lots of image formats. Fast large size image previews and navigation. Con: Photo transfer support is very limited, No metadata editing support. No face recognition and no hero tagging. User interface seems older and more cumbersome to use. No support for photo selection. Normally, I would list Picasa first because of its excellent JPEG image processing and organization features. None of the other free photo management software come close to Picasa’s polished user interface, image metadata capabilities, geotagging support and superb face recognition. However, Picasa is no longer supported by Google, which means there is no further development. While Picasa continues to run fine, this means when new metadata standards are being released Picasa will remain more and more behind. Pro: Greate user experience. Non-destructive editing. Keyword editing support. Amazing face recognition features. Great integration with Google Maps for geo tagging. Good photo editing features. Good support for photo selection and virtual folders. Works on the Mac as well. Con: Not developed anymore. No metadata editing support for any other fields besides keywords. Weak support for RAW files. If you are interested in Picasa you can read my articles about Picasa. 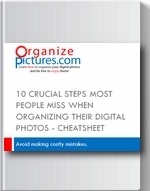 If you are already using Picasa and have learned how to use it, my advice is to stick with it until you start finding things that do not match newer image metadata standards. This means that Picasa will keep you going for a while. 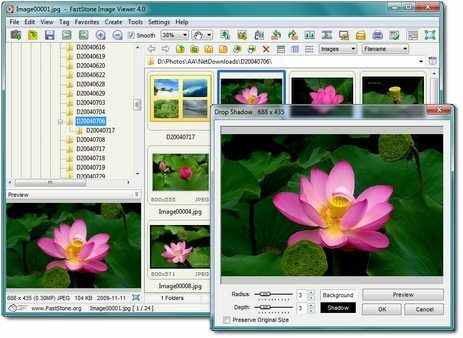 If you do not want to pay for a complete solution, and want to stick with a free photo management program, I recommend you start with FastStone Image viewer to get started with your folders and when you start adding metadata you can move to XnView. However, if you are starting to organize your pictures from scratch or you are looking for a more complete feature set, my recommendation is to purchase a professional photo management product like ACDSee Pro or Adobe Lightroom. Just wanted to say thanks Vlad for putting me on to FastStone. I had an accident with my computer and lost my favourite Picasa. I was looking for a suitable replacement and came across your web page. I use Corel Paintshop as my main editor. Faststone does the job Picasa used to do for me and more. Have a great day mate. Maurice…glad to hear you found help for your problem. Yes FastStone is a great free program with the exception of writing image metadata which doesn’t do yet.